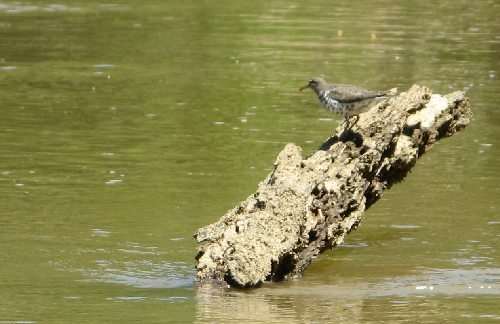 On our trip down the Neches river, we heard and saw signs of far more birds and animals than we actually encountered. The woods were full of migrating birds full of spring fever, and the result was bird song all day long. That lots of animals were in the area as well was evident whenever we pulled our kayak up onto a bank or sandbar. 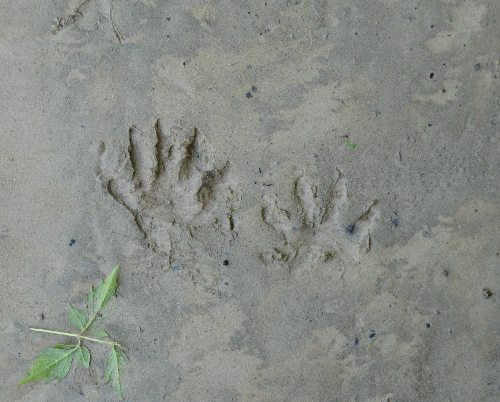 There were tracks everywhere: birds, deer, raccoons, plus some we couldn’t identify. 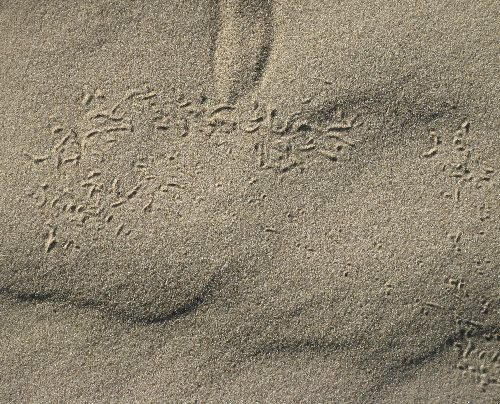 I particularly like the mystery tracks — tiny wandering traces that something small made but that I couldn’t hope to identify. We did get to see birds and animals as well, but not nearly as many as we knew must be there. It wasn’t long before we realized that everything was afraid of us. Birds and animals that caught sight of us would fly or run off long before we were close enough to be any danger. The turtles sunning themselves on the snags that stuck out of the water along the banks would “abandon ship” when we were still a hundred yards away. Rarely did we actually get to see a turtle. 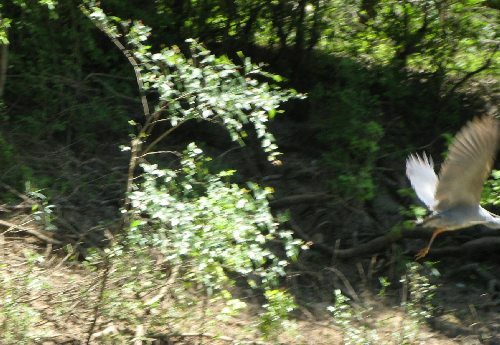 What we usually saw was the splash they made diving into the river to hide from us. 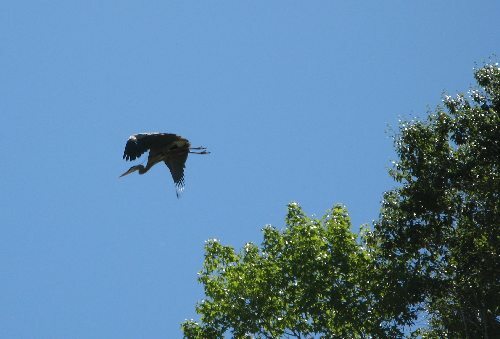 Big Thicket is a preserve, not a park, so it does have a hunting season, and that may be why the critters were so wary. Or, it could be the fact that the Neches doesn’t get much traffic. The owner of the canoe rental company that shuttled us to and from the river says he puts 150 canoes in a nearby creek for every one he puts on the Neches. But I think the real reason everything ran from us was the sight of our bright purple kayak. Every time I saw turtles leaping into the water, a little voice in my head would say, “Run! Hide! It’s the Purple Terror!” It took me a while to realize that the phrase “Purple Terror” was familiar to me because I’d heard it in a movie*. I don’t think this will be our final choice for a boat name, but it is one the animals chose for us, and I’m sure we’ll refer to it as the Purple Terror again in the future. *I’m pretty sure it comes from a movie within the movie Singin’ in the Rain.